The Australian Investors Podcast is a new series exploring the investment philosophies and journeys of some of Australia’s leading investors and financial thinkers. 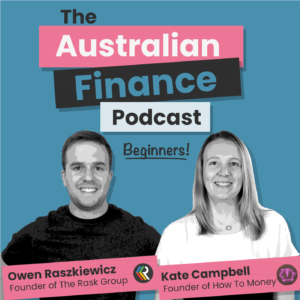 The Australian Finance Podcast is your crash course guide to sorting out your finances, one episode at a time. 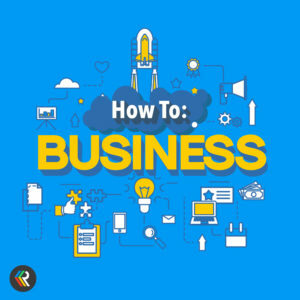 Owen & Kate bring you actionable information that you can put into practice today, so you can smash those money goals and set yourself up for success. Steve Johnson, CFA, is the Founder and Chief Investment Officer at Forager Funds. 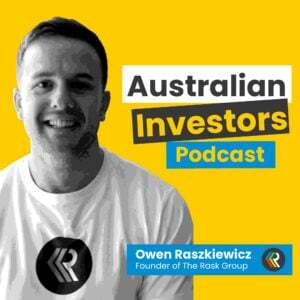 He joined Owen on The Australian Investors Podcast. The Australian Finance Podcast is a new Australian podcast series. 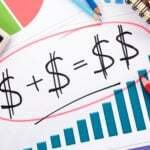 It’s your crash course guide to sorting out your finances, one episode at a time. Sebastian Evans is the Managing Director and Chief Investment Officer of NAOS asset management. Jonny Wilkinson is a Co-Founder of Equitise, a crowdsourcing platform which allows small investors to buy into private companies. He joined me for the latest episode of The Australian Investors Podcast.